Visual MODFLOW Flex provides you with a wide variety of style settings, allowing you to modify the appearance of data objects in both 3D and 2D Viewer. The style settings can be accessed by expanding the Style node in the Settings tree (shown below). 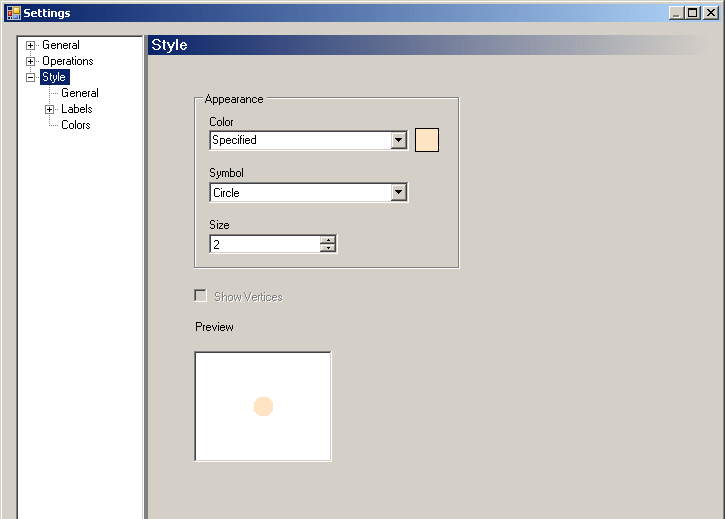 Please Note: the Style node will only be available when the particular data object is being shown in 2D or 3D Viewer. In general, each data object has its own set of style settings, although some settings are common between data objects. The following sections describe the style settings for the various data objects.